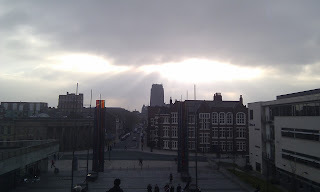 This week we went to Liverpool with the first year interior architects from NTU. 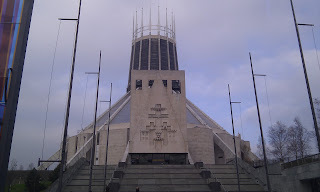 We visited some amazing Architectural sites with the two cathedrals being my highlight. The first cathedral we went to was the catholic one which had a huge amount of history behind it. In the late 1800's the building was supposed to be the worlds largest cathedral to accommodate Liverpool's large catholic population. Around this time 1 in 4 people in Liverpool were catholic as a result of immigration from Ireland during and after the famine. 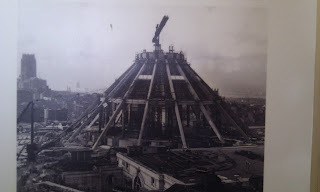 The cathedral was postponed and only the large vaults were constructed until after the war when the design was changed. 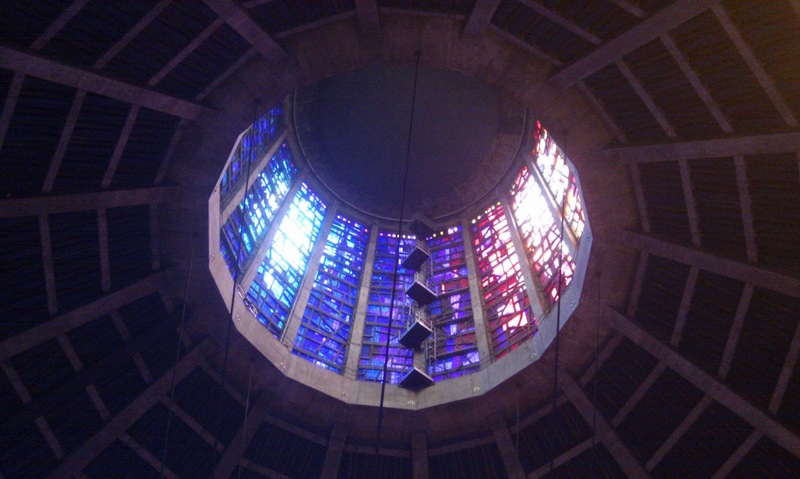 The current design was awarded to Fedrick Gibberd after a world wide design competition and construction was finally finished in 1967. 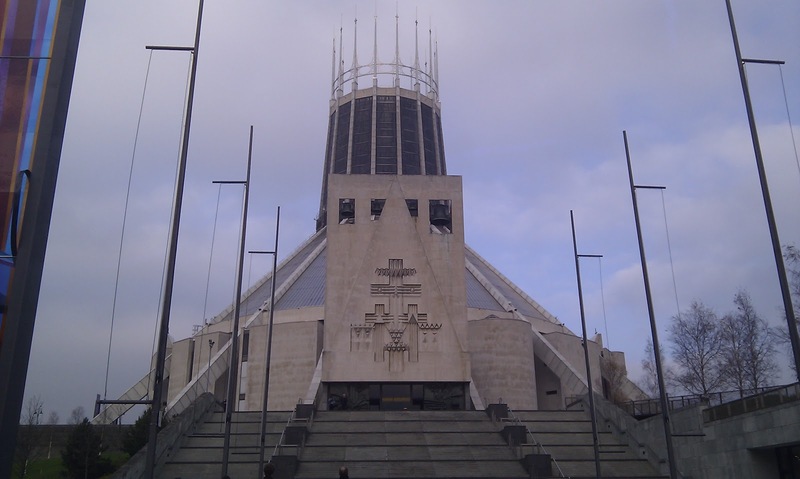 The second cathedral was the church of England cathedral which is the longest in the world and is quite impressive as you approach Liverpool on the motorway. It sits proudly high on a hill with a steeple stretching into the sky. The most interesting fact about the building is it was only fully completed in October 1978 despite its 1910 Gothic Design. 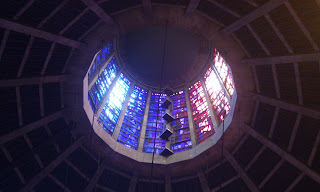 The photo below is the view of the church of England cathedral from the Catholic Cathedral. The hotel we stayed in was the Adelphi Hotel which was first opened in 1826 and the current building in 1914. I quickly remarked on its resemblance to the interior of ocean liners and with further research it was the hotels intention. 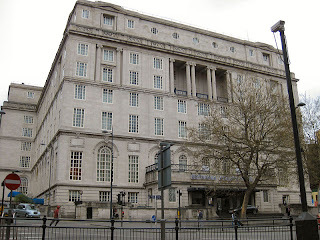 The hotel has a Sefton Suite which is a smoking lounge that is the exact replica of the one on the Titanic. 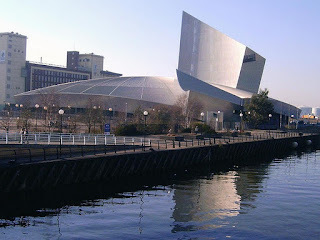 On the second day of the trip we visited the imperial war museum in Manchester and it was designed by architect Daniel Libeskind. The building consists of a large viewing platform that tower above the city and river below. This is supposed to leave you open to the elements and take you back to the views pilots had during wartime bombing. 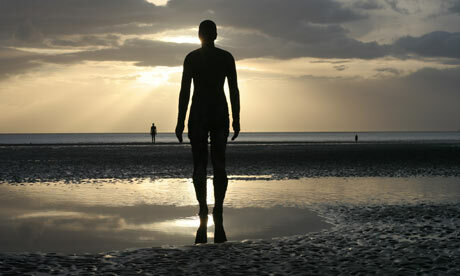 Our final stop was at Crosby beach to see sculptures by Anthony Gormley. These statues faced the sea and the effect of 40 bodies, some up to their waste in water, gives a effective and eery artistic feeling.